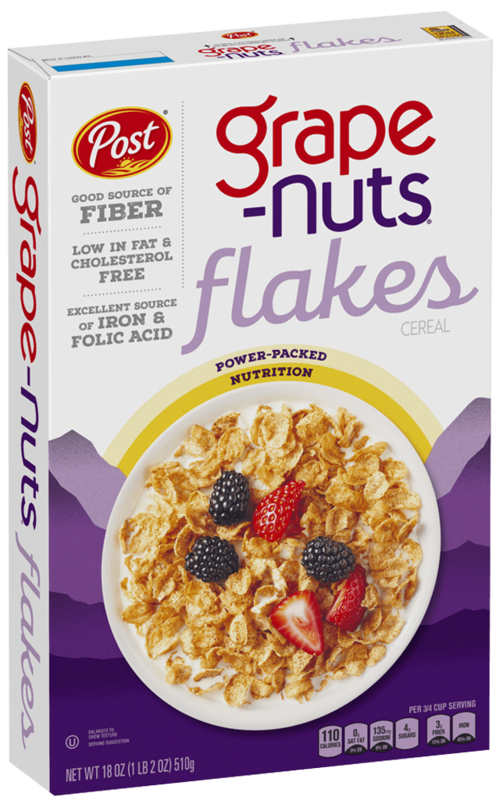 The whole-grain goodness of Grape-Nuts packs the power to help you climb your personal mountain. 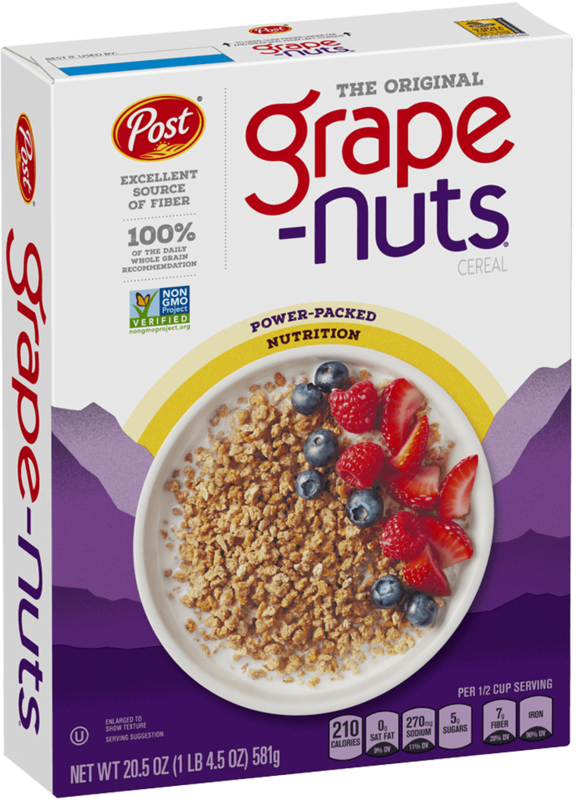 Grape Nuts Cereal (whole grain wheat flour, malted barley flour, salt, dried yeast, reduced iron, niacinamide [Vitamin B3], zinc oxide, pyridoxine hydrochloride [Vitamin B6], thiamin mononitrate [Vitamin B1], folic acid), Whole Grain Rolled Oats, Cane Sugar, Protein Crisps (pea protein, tapioca starch), Wheat Gluten, Dried Cranberries (cranberries, sugar, glycerin, sunflower oil), Canola Oil, Organic Honey, Natural Flavor, Salt. Vitamin E (mixed tocopherols) added to preserve freshness.